Aren’t dachshunds so cute?? A few years ago I had a custom request to make a paper quilled dachshund frame. I happily took up the challenge and my customer was more than pleased with the result. Today I’m sharing a few photos of the final frame as well as the process of making the dachshund, and even the pattern for the lengths of paper I used. So if you love dogs, give these a try! This paper quilled dachshund would also look adorable on a magnet, a greeting card, etc. I’ve been trying to post once a week, but it’s been almost two weeks since the last post! I’ve been busy doing quilling, so that is good. Just haven’t had time for editing photos and writing up posts. Actually, I’ve been working on an entry for the quilling contest that Little Circles is hosting. Have you heard about it? Entries are due at the end of September, so if you want to enter, you’ll have to get busy. You can click here to find all the info about the contest! Contestants are not supposed to share their work before the contest is over and judged, so I’ll have to save my work until then! I do have a few other pieces that I will blog about before then. Just need to take some photos first! Okay, so back to the adorable paper quilled dachshund! The challenge I found when making the dachshund was that the body should be a particular shape. You can’t just take nice springy quilled pieces and put them together to make a dachshund. It would just look like a cute little puppy. A dachshund needs to be just right. Luckily, when I made these dachshunds I also made a sketch in my notebook with the lengths of paper I used, so you can make your own as well! 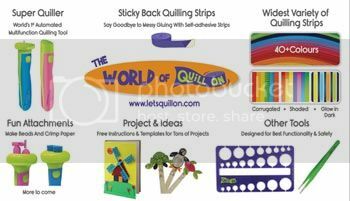 Wondering where to buy paper quilling strips? Click here for a list of places all around the world! I used 1/8″ width paper for this whole project. I used various shades of brown and tan, following the photo of the dachshund that the customer gave me. The accent pieces in the body and head are optional, but dachshunds often have patches of color and therefore these make it look more realistic. Once the first layer is dried, add a second heavier layer of sealant. Not TOO heavy, you don’t want it to pool at the bottom of your design. Just dab it on with a small paintbrush. Once the second layer is completely dry, you can take out the pins and your dachshund will be the right shape! Now you can glue it onto a frame, a magnet, greeting card, or any other project you want it for. The photo above shows only a few pins, as I had already done the sealant and it was time to take the pins out. The back legs took a lot of pinching to get to be the right shape and then I dabbed on a little sealant during the shaping to get them to stay properly. Then I pinned, let it dry, and added more sealant for durability. After all of the pieces were glued to the frame I gave everything, including the frame, a layer of sealant with a small paintbrush, and let it dry. I also put magnet tape on the back of the frame so that it could be hung on the fridge. Note, if you use standard magnet tape you’ll want to make sure to put long pieces on all four sides so that it will hold securely to the fridge! Have you made any quilling projects that needed shapes that were just right, like with these paper quilled dachshunds? It can be tricky to get paper to stay JUST the way you want it, and one way is pins and sealant! Don’t leave yet, there are more projects on the blog to check out! 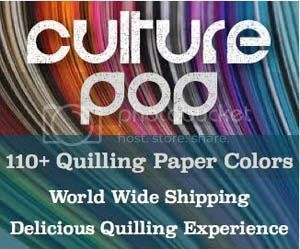 For paper quilling tips and tricks, click here!